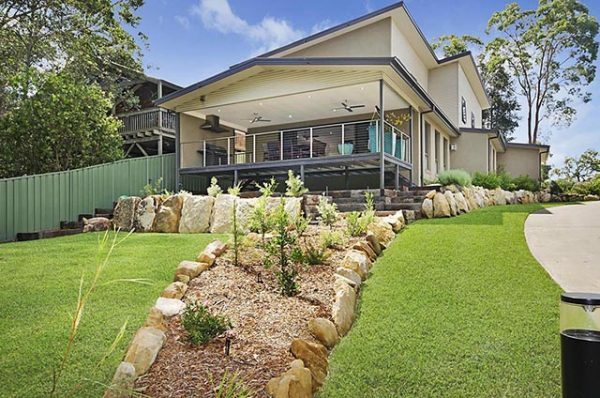 When looking for a home builder in the Blue Mountains, you will be faced with many choices. Here are some tips to choosing the right home builder to build your new dream home. Deciding to build a new home or a new addition to your existing can be one of the most exciting and liberating decisions any person can make. You will finally have a place for everything, no more having to watch cartoons and reality shows because the kids will finally have their own space, you won’t have to spend hours waiting in the hallway for your turn in the bathroom. Does any of this sound familiar? Unfortunately this excitement and exhilaration can quickly turn to stress, pressure and longing for the old days wishing you had some time to think about life whilst waiting for the bathroom! The importance and advantages of selecting the right builder for your home improvement project are endless and can be the difference between loving and hating the whole experience. Complete servicing: Does the builder offer a comprehensive list of services? Can they package your whole build or renovation to suit you? There is so much that goes into even the simplest of renovations, unfortunately it is not as simple as knowing what you want drawing up some plans and building it. Dealing with Council alone can prove quite a challenge. As a customer the last thing you want to be doing is researching different companies to undertake the different components of the process. The ideal scenario is to have one consistent contact who has a comprehensive knowledge and understanding of the processes and requirements necessary to get your design done, submitted, approved and built. This will relieve an enormous amount of pressure and stress from the process for you. Local is best: The Blue Mountains are a beautiful place to live but building and renovating here can be tricky. We have to deal with issues here that are not common throughout the rest of Sydney. Sloping Blocks, natural running water ways, bushfire, Dampness, these are all real obstacles that should be considered when building or renovating. Building companies outside of the Blue Mountains may not deal with these problems often and may not be properly equipped to handle these situations which can lead to loss of time, money and a less than ideal finished product. Blue Mountains builders have the local knowledge, understand the legislation and know how to maximize your build efficiency. Always look for the experienced companies. The Mountains are a small community and only quality Builders will survive and thrive here, a company that has been operating for a number of years in our community has the trust of the community and can be relied on. Building Company staff: I always check if companies who work for me are using full time staff or contractors. I believe a company who invests in full time staff is serious and passionate about what they do. It is easy to pick up a phone book and call a number of sub-contract joiners or carpenters and find the cheapest price, but to hire local people put the time into training them and putting them through apprenticeships and watching them develop speaks volumes about the company’s commitment to service and to its customers. These are just a few of the important things to consider when looking to appoint a home builder in the Blue Mountains. With Woodford Homes you know you are getting the most exception service with locally trained staff that will look after you project and ensure your complete satisfaction. Call us today to discuss your plans and let us show you how easy it can be.